On September 28th, we will witness the last of the four blood moons that fall on Biblical festival dates during 2014 and 2015. This blood moon will be a “supermoon” and it will be clearly visible from the city of Jerusalem. According to Google, a supermoon is “the coincidence of a full moon or a new moon with the closest approach the Moon makes to the Earth on its elliptical orbit, resulting in the largest apparent size of the lunar disk as seen from Earth.” In recent years, there have been some that have suggested that there is a link between supermoons and increased seismic activity on our planet. But others have written articles that claim to debunk this theory. Personally, I have read what both sides of the argument have to say, and I do not know which side of the argument is correct. But what I do know is that seismic activity along the Ring of Fire has picked up dramatically in recent years. According to Volcano Discovery, there are 32 volcanoes on or near the Ring of Fire that are erupting right now. If that sounds like an unusually high number to you, that is because it is an unusually high number. A tsunami advisory was issued for the coastal areas of Southern California, which means strong currents are likely and residents should stay away from the shore. Los Angeles, Orange and San Diego counties warned residents to stay away from beaches and harbors due to the chances of strong currents. But authorities in the three counties said land inundation is not expected. “Widespread hazardous tsunami waves are possible” along the coast of Chile and Peru, the Pacific Tsunami Warning Center said, and a tsunami watch is in effect for Hawaii. Even New Zealand, which is 6,000 miles away from the quake’s epicenter, issued a tsunami warning. You can see some video footage of the immense damage that the tsunami caused in Chile right here. Approximately 80 percent of all large earthquakes each year happen along the Ring of Fire, and at some point we are going to see natural disasters occur in this “danger zone” that are going to absolutely shock the entire planet. In particular, you need to watch Japan. Everyone remembers the tsunami that happened back in 2011, and within the last 30 days we have seen an eruption of Mount Aso and a 5.3-magnitude earthquake that really shook a lot of people up. Although newer buildings in Tokyo are built to withstand powerful earthquakes, a large quake in the city has the potential to cause widespread damage. According to the government, a magnitude-7.3 earthquake would kill about 5,600 people, injure 159,000 and destroy 850,000 buildings. Unfortunately, what is coming to Tokyo is going to be far, far worse than that. And don’t forget, Mt. Fuji is very close to Tokyo as well. At some point that volcano will erupt again, and the death and devastation it will cause will be absolutely unimaginable. I hope that we don’t see any major seismic events in Japan or anywhere else at the end of September. Let’s hope and pray for a very peaceful and quiet end to the month. 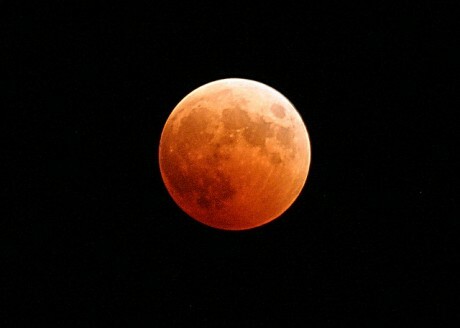 The fourth in the series of blood moons, which have six full moons in between, is set to happen on September 28. Despite, the two evangelists, John Hagee and Mark Britz being accused of peddling “false warnings” in order to cash in on books they have penned about their predictions, the theory continues to sweep the online religious community, with videos on YouTube going viral. First of all, they didn’t even spell “Mark Biltz” correctly. Secondly, I know for a fact that Mark Biltz has not been saying that the second coming of Jesus Christ would happen this September. But this is what passes for “journalism” these days. No world destroying comet, no Earth shattering quake … and if a religious figure comes/returns, our guess is that it will be on par with a personal visit like what people say happens every day … no Earth-scorching fire and brimstone will happen this weekend. But, hey, if the world and everything comes to an end this weekend, please do send me an email with the subject line: Told You So! Perhaps the mockers will be right. Perhaps nothing will happen on September 28th. But let me be abundantly clear – a great shaking is coming to our planet, and life as we know it is about to completely change.